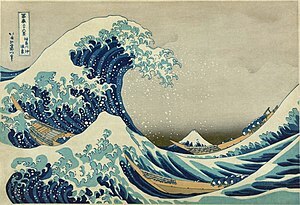 What can market researchers learn from Hokusai and the Great Wave? This week, Ray Poynter was the opening keynote speaker at the JMRA (Japanese Market Research Association) Annual Conference in Tokyo. Ray’s topic was ‘Where next, and how do we get there?’ The four final points, the big picture, that Ray left the audience with were: Traditional Research is yesterday New methods are the future A dichotomy is emerging Data / DIY / Automation / AI Consultancy and Storytelling The tide of change is mostly English The key priorities for clients are usually in the following order: Speed Cost Agile Quality If you would like to download a copy of Ray’s presentation click here. AMSRS (The Australian Market & Social Research Society) has just published an article from Ray Poynter in its members’ magazine, Research News. In the article, Ray sets out his perception of the global picture for market research. If you are not a member of AMSRS and would like to read the articles, click here. Perhaps you would like to add your views, why not add them as a comment to this page? How does your knowledge and MR learning compare with others?